There's nothing like a well-rested weekend, escape the chaos of the city and find my inner peace with yoga and qigong. 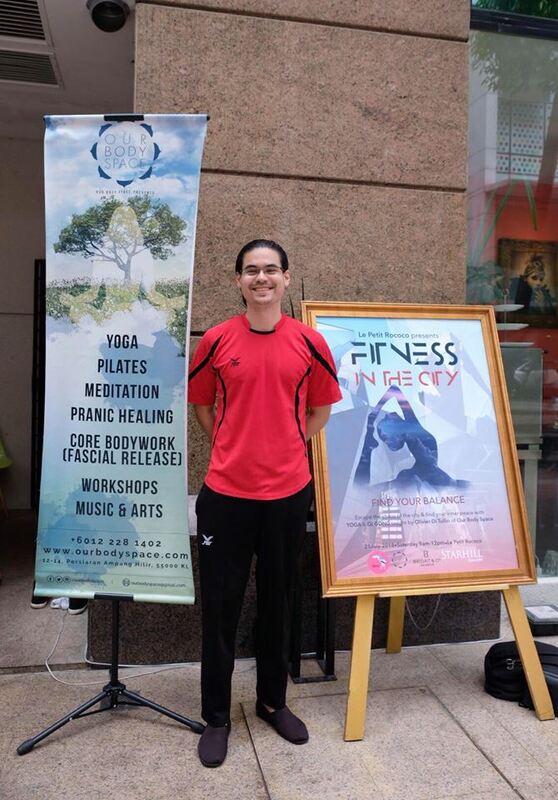 Last weekend, we had the pleasure to join 'Fitness In The City', a fitness event organised by Starhill Gallery held at the swanky European bakery Le Petit Rococo Cafe. 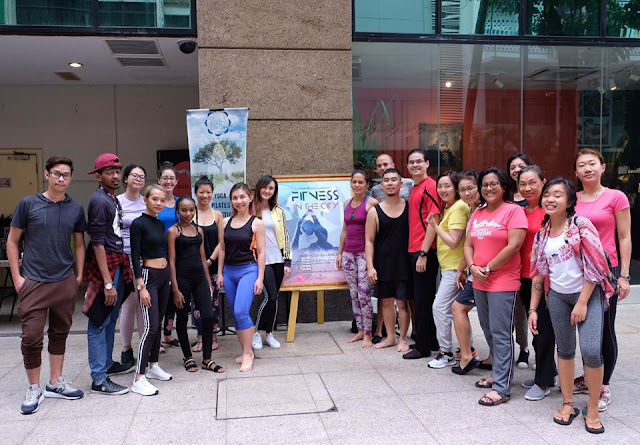 (Bintang Step) The event is free and open to the public was organised in line with the athleisure trends amongst millennials and to gather the fitness community in the heart of Bukit Bintang. We were guided on the ways to invigorate the body and improve our overall health with Yoga and Qi Gong under the expert coaching of Olivier Di Tullio, a French-Malaysian Yoga and Qi Gong teacher. During the three hour session, we learnt about the flow of Qi within our body through the ancient mapping of its meridians, Eight Brocades of Qi Gong techniques to cultivate Qi and basic Hatha Yoga moves for light strengthening and deep stretching to up the body and free emotion, as well as some tips on how to keeps the body strong with internal energies and the seven chakras that affect our emotions. Only when the mind is silent, can we know real peace, joy, love, and creativity to find the solution to our problems. An engineer by profession, Olivier first started studying Tai Chi and Qi Gong in Singapore eight years ago. Upon his return to Malaysia, his thirst for knowing more about ancient holistic practices strengthened which led him to study Hatha Yoga and Ashtanga Yoga. 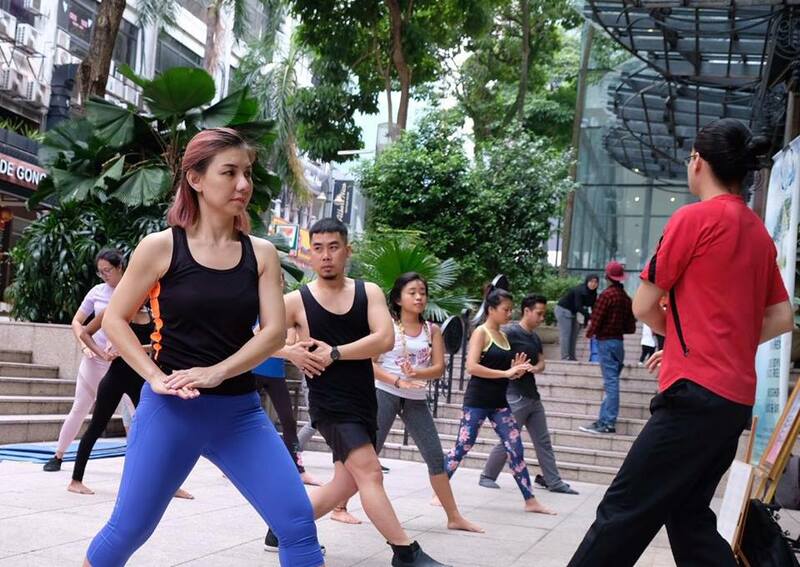 'Fitness In The City' is part of the series of upcoming unique events to be held along the Bintang Steps. To encourage participation from Starhill Gallery shoppers and visitors, Bedat & Co has extended a discount of 25% off for all their collections for the first 100 participants. Meanwhile, we can't wait for the next session!